Post your screen shots taken from Co-op and post them here. I'll start with a couple of mine own. Here is a base that i build today to stop the apc and infantry comming into muttrah, the 50 cals were support until the tows could be inplace. After: There place of resting. WOW super picture of Muttrah...cool to see it in real. 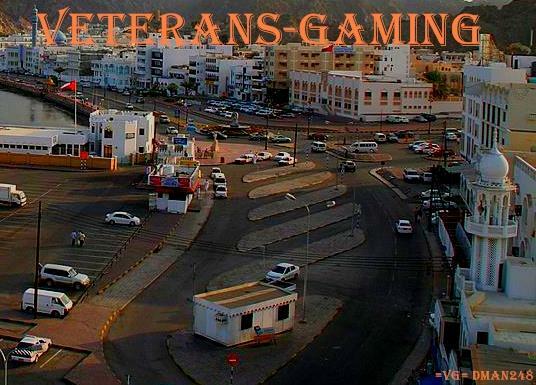 Ok, I am beginning a contest to see who can make the best VETERANS-GAMING Banner with that Muttrah pic. Winner Gets their name on the Banner. Like the Artist you are. Post the link to the picture and ill give it a go. This is how much i have gotten done so far. I have put less brightness into it and more saturation. Please tell me what you think/ i can add. Are you talking about a sever banner in game BF2 cause i need a corba picture and im done. If you are i read somewhere that its 400x60 so thats what its at now and ill can covert it to .PNG later. Dman, nice man, but too small, lol. Anyway heres the 2 i like please tell me what you think. I still need the cobra pic to fill in the left side. I'm confused, the bf2 banner on the left when your loading the map or this site banner. And i need sizes so i know how much i can work with. P.S. keep in mind this is my first time ever using these tools. just edit the width number to suit! We are talking about the banner dimensions for the website. So we can have a photoshop competition. hahaha, at least now, if you didnt know how to do that you do now! If not the size, how about the dimenshions or Height:Width ratio? Dresh give it a go, but i stop because no one told me the banner size. i thought it was 400x260.